Folks, more evidence here that newfangled “rights” based on sexual perversion and extreme gender confusion naturally war against real, God-given liberties, parental rights and historic Judeo-Christian religion. Here are some good words from Family Research Council president Tony Perkins on two of the latest LGBTQ-activists assaults on normality and faith. This week, a shocking story hit the national news about an Ohio teenager who was removed from her parents’ home by authorities. Why? 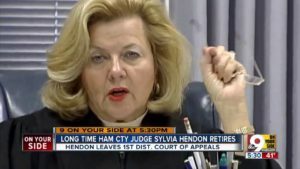 Because they didn’t support their daughter’s decision to identify as a boy and declined to authorize hormone therapy to facilitate her gender “transition.” Today, the story broke that Juvenile Court Judge Sylvia Hendon has permanently removed the child from her parents’ custody (despite the fact that the child is already 17 and would be able to make medical decisions for herself in less than a year). For years, LGBT activists have scoffed at warnings from FRC and others that the radical LGBT movement poses a threat to personal and religious freedom. In the past, the Left directed most of its attacks on religious expression in the public square, doing everything it could to restrict faith to the four walls of your house or church. Now, even that tolerance is tumbling down. I wrote yesterday about the shocking attack by two Michigan state legislators against a church in metropolitan Detroit that offered an “Unashamed Identity Workshop” for teen girls struggling with their sexual orientation or gender identity. It’s becoming ever clearer that if we don’t fight to defend our liberties everywhere, they will not be safe from attack anywhere — not even in your church or your home. This article was posted on Friday, February 16th, 2018 at 11:24 pm	and is filed under "Gay" Subversion of Institutions, "Sexual Orientation"/"Gender Identity" and the Law, News. You can follow any updates to this article through the RSS 2.0 feed.